Five days Madrid? Trying to figure out what attractions to see or activities to take part in? 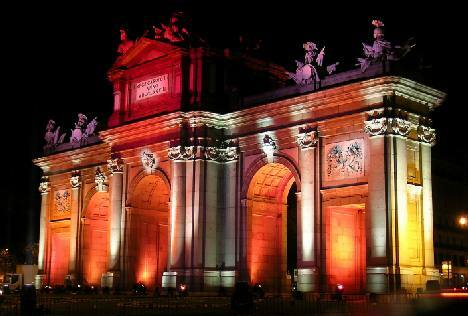 Don´t want to miss out in the limited timespan of your vacation in Madrid. Try our free plan for five days in Madrid! Arriving in the morning from the USA or around Midday from the UK day 1 should be spent getting a feel for Madrid. Everything is new and somewhat different so what better way to get to know the city than to start exploring! We recomend you spend your first afternoon either enjoying the walk through the old part of town (great to get rid of jetlag and helps fight off DVT) or if you want the lazy option, which shows you a little more, take one of the sightseeing bus tours. In the evening of your first day its time to get to grips with Spanish meal times. Leave your hotel at around 2000 and meander towards the Plaza Santa Ana where you can enjoy tapas or even a full meal in one of the many restaurants that surround the square. For lunch try the Spanish concept of "Menu del dia" which is a three course lunch of basic and healthy food for around €10 per person. You can choose from three dishes for the starter and main so theres always something you´ll like the look of. Most bars and restaurants offer these meals (even in the "tourist traps"). In the evening try one of the many fantastic Spanish restaurants or head off on an evening tapas tour! Five days Madrid offers you more than enough time to visit any one of a number of unique places to see within an hour of the city. A full day outside the hustle and bustle allows you enjoy the true Spanish culture! You can organize your own day trip with our handy destination guides, which include all the transport details you need, or you can book on an organized tour. Either way its fascinating to see a little of rural Spain! But that does not mean you can´t enjoy Madrid! If you have already had your fill of the museums and galleries its time to try something different. Why not visit the Real Madrid stadium where the tour allows you behind the scenes (dressing room, executive boxes, trophy room etc) or take the Cable car out to the Zoo and one of the theme parks. If you are really stuck to fill day four of five days in Madrid then there is always the shopping option in the many stores and markets. One thing that cannot be missed and that doesn´t appear in the guide books is Plaza Castilla in the north of the city. It is easily reached via the Metro and home to some of the city´s most stunning examples of modern architecture. The twin towers leaning in on each other are unique and flanked by the recently completed four skyscrapers square offers the perfect set of unique holiday snaps. 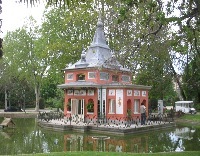 If you haven´t yet done so this is the time to spend an afternoon being wowed in Retiro park! Hold your horses! Even with just a morning to spare you can enjoy the center of the city and squeeze in a trip to enjoy a coffee in one of the many small tabernas in Plaza Mayor. its also a great chance to pick up any last minute Souvenirs (after all why would you spend all week carrying them?). If you are travelling to another part of Spain see our guide to Onwards travel. Five days Madrid too much? Try the 3 day version!